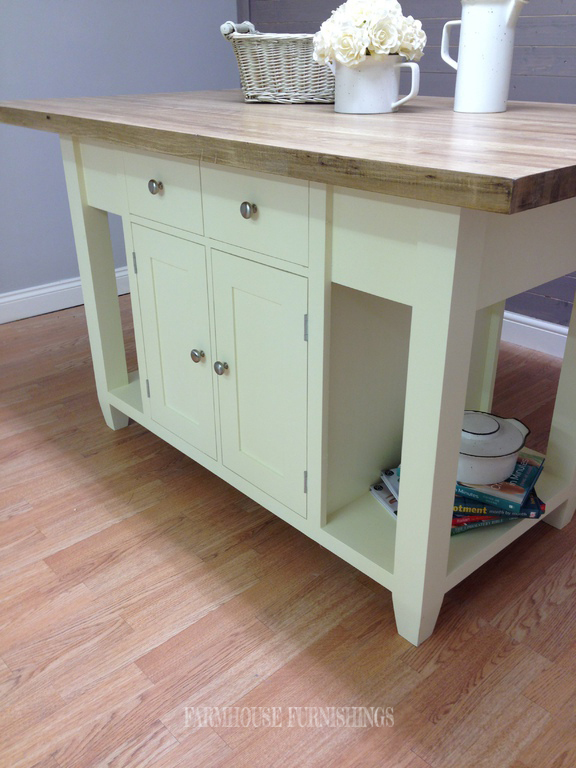 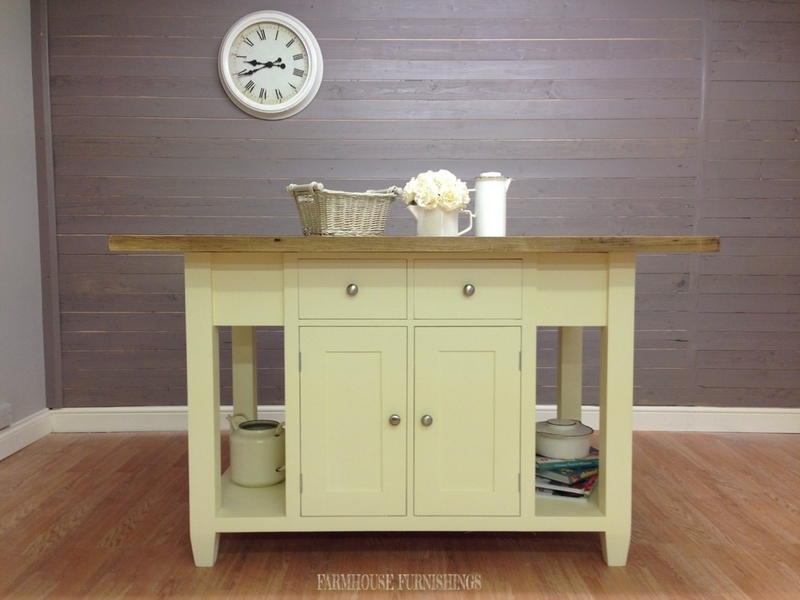 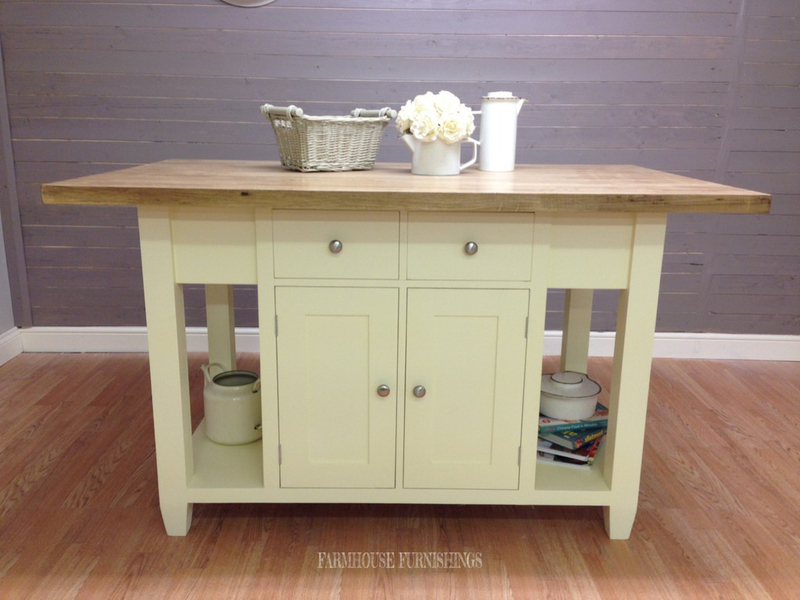 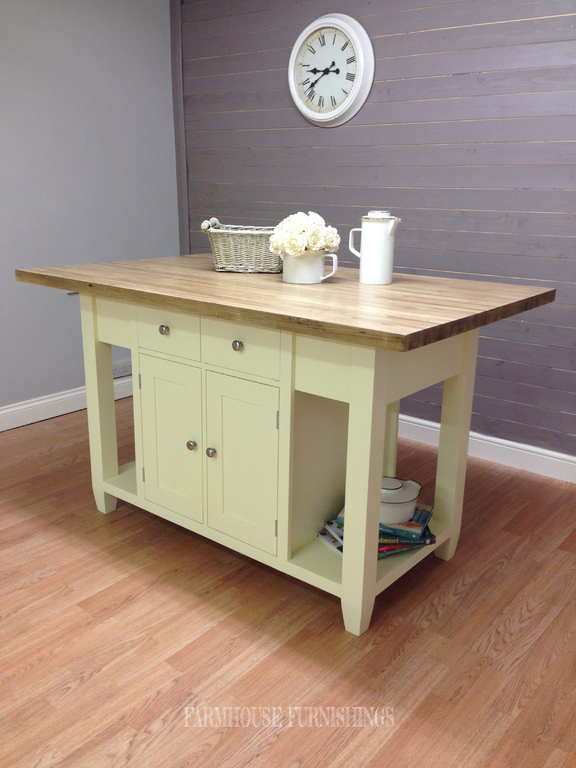 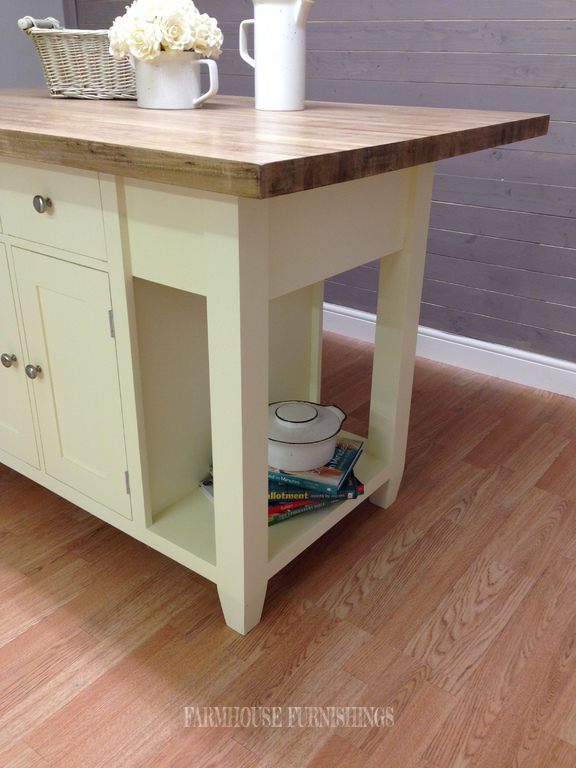 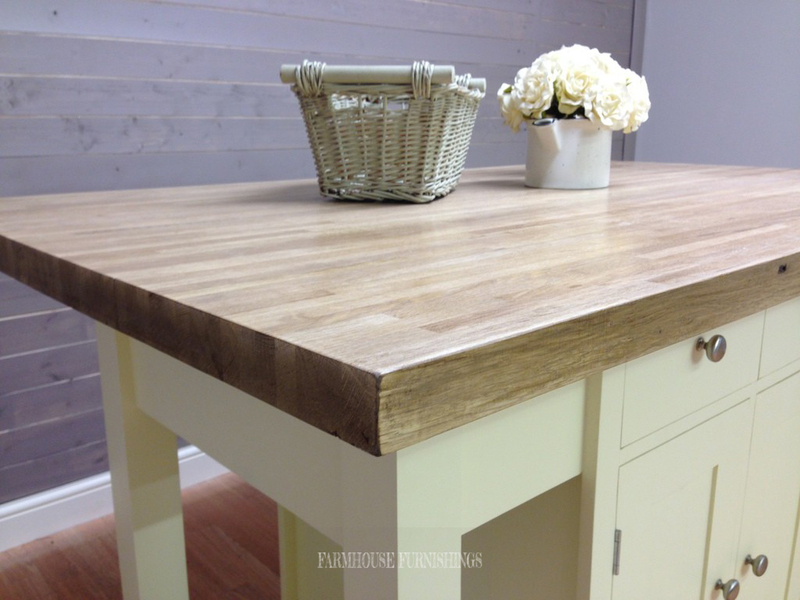 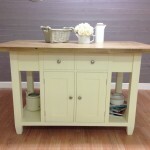 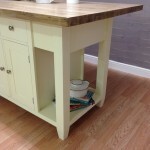 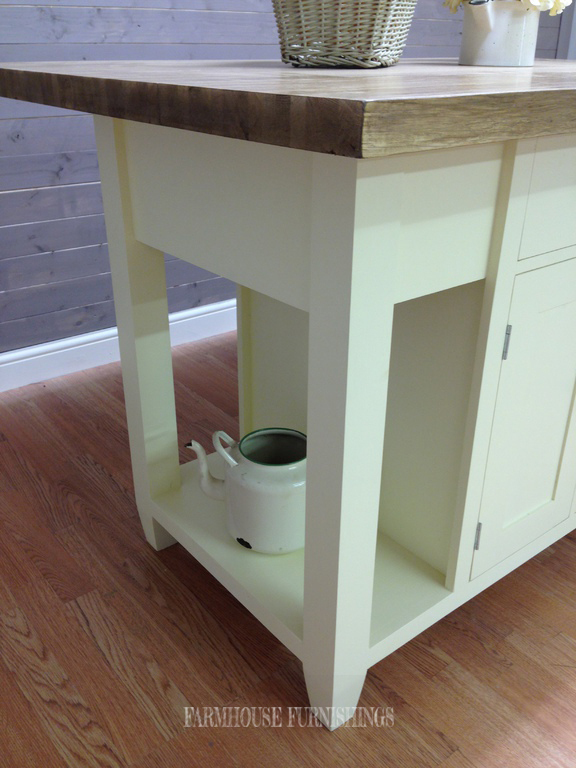 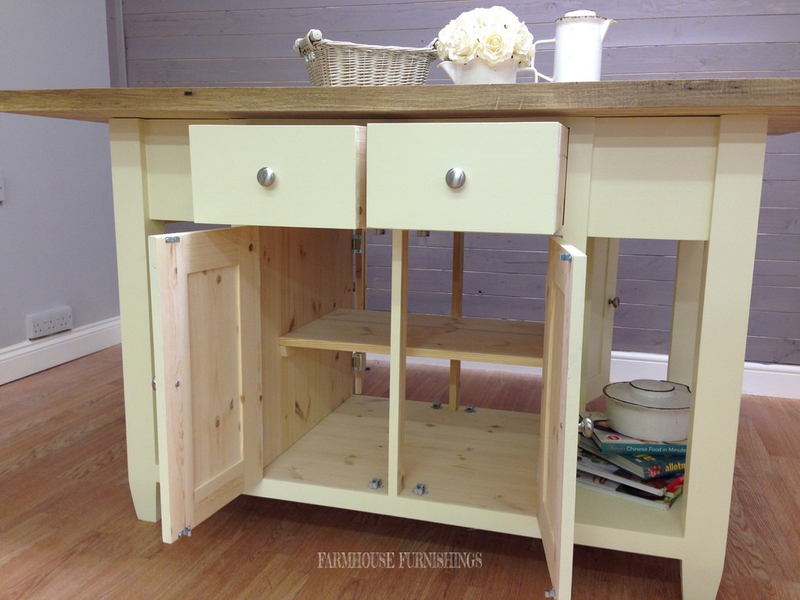 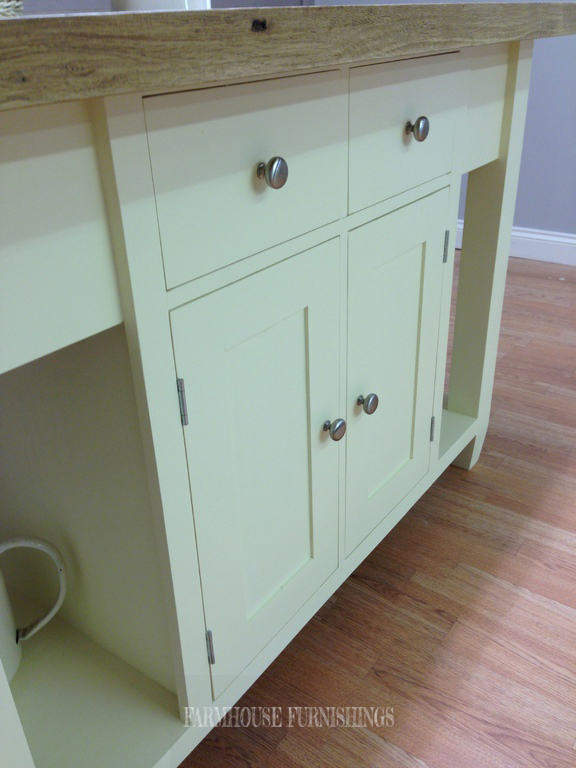 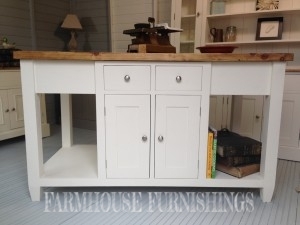 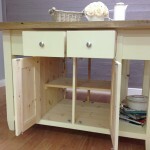 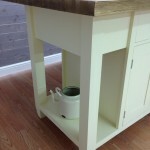 This beautiful kitchen island has been painted in New White by Farrow and Ball. 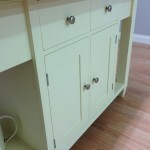 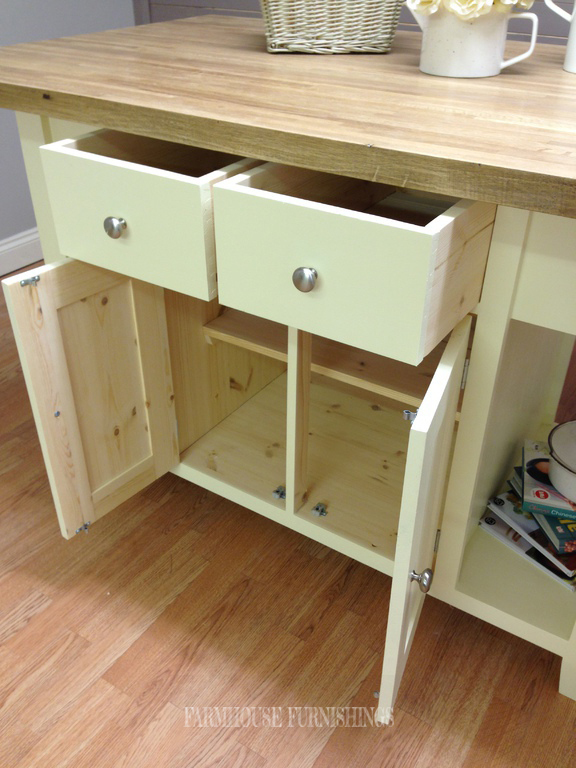 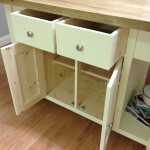 It has deep cupboards all the way through to give extra storage space. 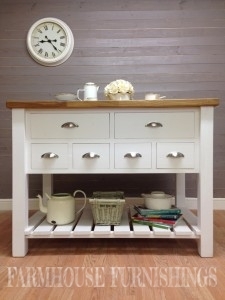 It has a simple shape with clean lines and would look fantastic in both modern and traditional interiors. 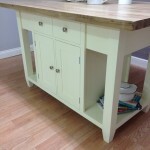 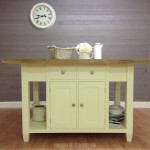 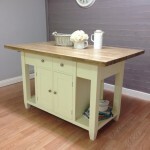 You can have this island painted in any Farrow and Ball colour included in the price. 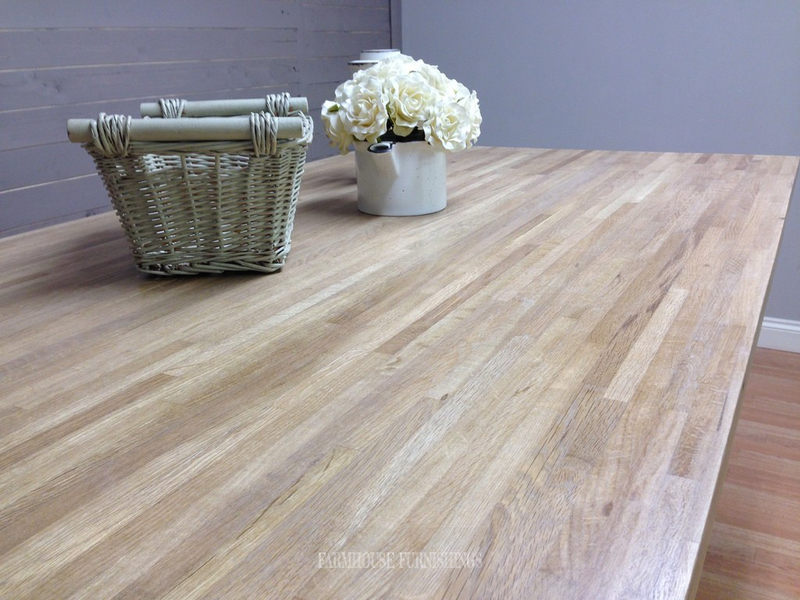 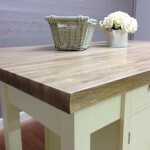 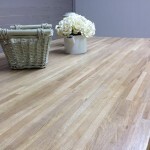 You also have the choice of pine or oak worktops.